What determines Lateral Gs / high? Tires, suspension? I see that base GT / 2015 is 84, not so good. Would it increase significantly with high performance summer tires and maybe the Ford Racing Handling package? Maybe hit 95-98 lateral gs? Ger. These are my recent Autocross numbers. This is on concrete rounding 75 to 80 foot radius' and slaloms at about 40 mph. The Bridgestone RE71R's are rated at 200 treadwear. My GT came with the performance pack. I've added Koni Sport shocks and an Eiback front anti-roll bar. I've set the front toe out 1/16". The rear toe is neutral. The rear camber is at - 1.5. I run with the Traction Control turned off. The car magazines rated the stock (asphalt) lateral g-force performance at 0.94 g's. The track surface and tires are big factors. I'm running 285 X 35 X 19 tires on the rear and 265 X 35 X 19 up front. What you want to do will definitely increase it. Unless you plan to compete where there are rules limiting wheel width, include wheels that are at least 10" wide all around in your plan. If you ever plan on running 305-wide tires, go with 10.5" or 11" even if you're only thinking in terms of 285's now. 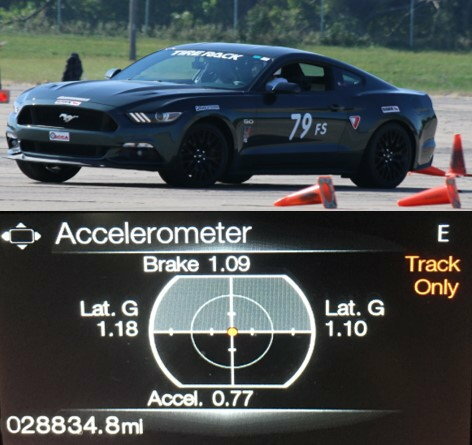 If you insist on running staggered tire or wheel width sizing, less stagger is better than more until you get into forced induction levels of power. Compare the wheel & tire sizes that Ford now uses in their Performance Pack Level 2 option for the GT and the GT350/GT350R. They're much more seriously intended than Performance Pack (aka Performance Pack Level 1 or PP1) wheel widths and tire sizes, which in turn are a step beyond base. As mentioned, there are gains to be had in alignment . . . alignment settings that shouldn't be too aggressive for your average driving particularly with respect to toe. Last edited by Norm Peterson; 08-19-2018 at 05:25 PM. mongodrums, it would take to long to explain "chassis geometry" which is what you need to understand in order to answer your question. So here is a link to a great article which any "road course" racer should familiarize themselves with. 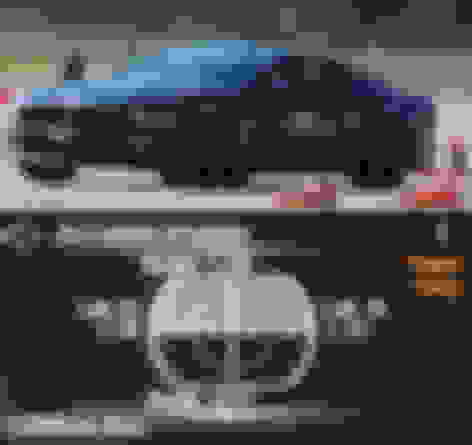 https://nasaspeed.news/columns/drive...ecar-dynamics/ Yes, it took me many years of "stock car" racing to begin to get a handle on racing suspensions. Camber settings for track days?? I was wondering if there is anyone else that has significant improvment in handling with adding negative camber? If so what are you setting it at and what kind of suspension do you have? You really cannot base your camber, castor, and toe-in settings very closely on another’s vehicle setup. Differences in tires, driving styles, suspension components, and those components’ adjustments will make the best setup for that vehicle and driver potentially very different for you. As mentioned earlier, it's very important to understand the interaction of your vehicle's suspension components, settings, tires, and how you drive. I've added a little negative camber to my setup after a slight mod to my strut to spindle assembly mounts and a larger anti-sway bar. With this I set my front camber at – 2.0 degrees, caster at 7 degrees, and toe-out at 0.20 degrees. The rear set-up is -2.25 degrees camber and 0.0 toe. Note the GT w/performance pack O.E. specs are different than the GT without performance pack. My in-dash accelerometer readings on our concrete autocross course surface read as high as 1.20 lateral G’s and my Track Addict results show peaks as high as 1.36 lateral G’s on that same run. The earlier comment was great. There are really good references for suspension setup and tuning. My biggest suggestion is to review these and remember that anything you do to tires, wheels, springs, etc. will probably change up your last best setup condition. Some of these changes much more than others. I'd pick up a $20 book on suspension setups before investing in hundreds or thousands on your suspension. mungodrums, if you are really interested in road course suspension geometry, I would strongly suggest you start your learning experience by reading the Motorbooks International "PERFORMANCE HANDLING," How To Make Your Car Handle Techniques, by Don Alexander. This is a excellent publication for beginning "road racers." Quick Reply: How to increase Lateral Gs in 2015 GT?